Search Engine Marketing – Are You Ready to Engage Your Market? With consumer attention receding and search engines and website marketing evolving, finding the right the balance for visitors who are constantly bombarded by advertisements, offers, incentives, deals and brand exposure has made prospects less responsive to traditional marketing ploys. The bottom line is all about user engagement and engaging your market. The extent of your effort ultimately determines if your brand is embraced, ignored or just serves as a stepping stone for a better offer. The premise of traditional advertising was based on an entirely biased platform. That platform was primarily leveraging brand exposure using repetition and conditioning to bombard users through linear marketing channels such as television advertising, print and media. Things may very well have stayed that way indefinitely, if search engines, SEO and internet marketing had not intervened as a viable marketing tactic. With the boundaries of off-line marketing getting blurred, what is certain is those who fail to develop their online reputation, their brand or engage their market using the medium of internet marketing are facing extinction (or quite simply missing the boat on leveraging the web for increasing their percentage of market share). Since the intervention of search engines on tradition marketing, popularity is commensurate with convenience and the ability to conduct competitive or comparative research “at the flick of a few key strokes”. Branding is what differentiates how consumers of the present day are influenced as well as the mind-set that determines who they purchase from, what they purchase and why. Industry leaders that excel in appeasing the masses have virtually skyrocketed to the apex of their respective categories as a result of nurturing non-traditional internet marketing channels which were simply not available prior to the inception of search engines. In the past where conditioning may have churned sales without question, search engines provide millions daily with the ability to quantify and qualify their purchases with less effort as due diligence is now second nature due to convenience. Why spend 50% more on a product, when with a few more searches you may find it 33% below published prices? With this in mind, the market has had to respond in kind by offering value instead of hype. As a result, this has contributed to niche sites cropping up for virtually every phrase or combination of keywords that have revenue potential. The key is upward mobility to achieve visibility of the core phrases or segmentation through using long-tail optimization to clean up on the various unique phrases that are essentially low hanging fruit. The industry leaders who occupy the attention and pulse of the marketplace have one thing in common, impeccable timing, content and traffic. Sites at the top are there due to merit or the fact that they embarked on their journey long before others with a vision, a healthy budget or a combination of both. Regardless of how, timing plays an important role in search engine optimization. In order for your content to make an impact, it must successfully get past the bouncers to enter the index, once you’re in, you have to create an appealing offer to garner enough traffic to be considered as a vital resource. For long lasting results, there no other way aside from just rolling up your sleeves and putting in 110% to make an impact. If you want to distinguish your offer and move on multiple (keyword) fronts to reach the most tangible audience, you have to hone your competitive edge through (a) having a great product (b) a superb service or (c) intrinsic brand value, to corner “the attention of the masses”. Entering a competitive arena saturated with millions of competing pages is one of the most exciting, yet challenging online endeavors a small business can engage in. As the all-out battle for “attention and visitor retention” is just another day at the office for corporations with deep pockets waging war on a daily basis against small businesses, as each in turn (small business, corporations and the little guy) retaliate against each other in a battle for supremacy in the SERPs. Aside from the pack of 800 Lbs. Gorilla’s looming at every turn that are more determined to hem up their niche and punt “your business along with the next guy” to the curb at every opportunity. In closing, to up the stakes for all involved, we have compiled a must-read list of articles offered from our site on the topic of internet marketing to address the various facets of search engine optimization. Feel free to peruse them at your leisure to hone your competitive advantage online. A Great Overview of Organic SEO and how to use search modifiers for positioning. Understanding and implementing the power of Internal Links for your pages. Stay tuned and thanks for visiting the SEO Design Solutions Blog. Jeffrey_Smith Jeffrey_Smith Search Engine Marketing – Are You Ready to Engage Your Market? Yes, precision and attention are important metrics to consider. 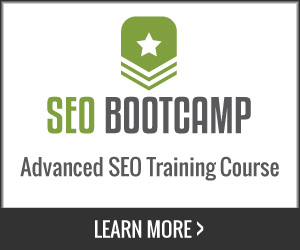 But even with SEO Services, without the right message, it is in vain. Because hit and run traffic is the result when the content lacks user appeal. Very Nice Article I must say. The point most people understand that along with SEO the website being targeted also need to be of genuine content. You must have the ability to capture the surfer into a potential buyer or user otherwise what is the use of that search engine ranking? Every link is an ad working on your behalf, just like the one you left here. Content is great, but without positioning it is just another grain of sand on the beach. Glad you enjoyed the post. Thank you both for taking the time to comment.